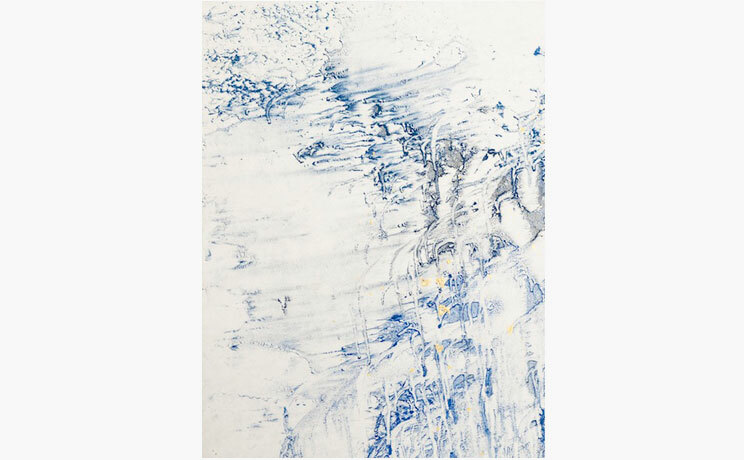 Makoto Fujimura fuses traditional Nihonga painting with the techniques of Western abstraction. Fujimura uses stone-ground minerals such as gold, platinum, malachite, azurite, and cinnabar. He believes that the minerals-particularly-allow for a fuller exploration of the space between flattness of abstraction and interior space of representation. “Gold is that paradox: it creates space (by being semi-transparent) and remains flat (by being mirror-like) at the same time,” says Fujimura. His deep religious faith attracts him to the metaphysical aspects of Abstract Expressionism and Color Field Painting. Born in the United States and trained in Japan, Fujimura’s extensive exposure to both Western and Asian art has created a unique fusion of two in his own work. He spent his early years in Japan and returned as a postgraduate on a Japanese governmental scholarship to study Nihonga (traditional Japanese painting) at the Tokyo University of Fine Art. Graduating from his MFA program as the top painter, he began an apprenticeship with the master Nihonga painter Matazo Kayama to pursue his doctoral studies. Fujimura was able to experiment with the Nihonga tradition, achieving a synthesis he continues to explore today between his outsider point of view and classical Japanese painting. 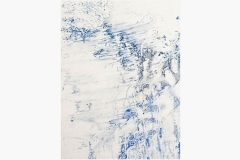 Fujimura’s works are included in the collections of almost every major museum in Japan and has exhibited extensively throughout the United States and world. 1983 Bucknell University, double major in Animal Behavior and Art, B.A. 2001 Makoto Fujimura, The Henry Luce III Center for Arts and Religion, Washington, D.C.
2003 The WRONG Exhibit, Birmingham, U.K. Contemporary uses of gold have stretched far beyond its historical foundations in societal status, wealth and spirituality. As a substance with legendary qualities, subject and form no longer limit gold. In Bentley Gallery’s exhibition Gold Rush, 15 artists come together to challenge perceptions (and uses) of the world’s most alluring metal.